Repair your restaurant, catering and transport equipment with Genuine replacement parts, ranging from basic hardware to complete replacement kits. Original Blendtec Replacement Parts to easily repair, upgrade or even get an extra blender jar to help you accomplish more in your kitchen. 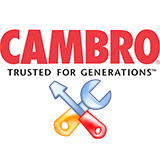 Repair your Cambro restaurant, catering and transport equipment with Genuine replacement parts, ranging from basic hardware to complete replacement kits. These replacement parts only work for Cambro equipment. 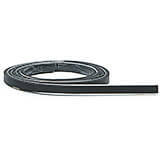 Original replacement parts for Gardensun and Hiland propane patio heaters. 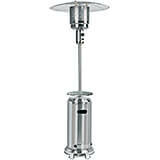 Replacement parts and accessories for Hamilton Beach Commercial products. 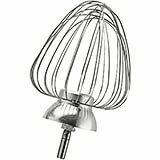 Find the right part to fix your blender, food processor, drink mixer, or simply get extra parts to help you be more productive. 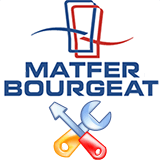 Repair your Matfer Bourgeat kitchen, restaurant, and catering equipment with factory replacement parts, ranging from basic hardware to complete replacement kits. We carry an extensive collection of APS, Bron Coucke, Paderno World Cuisine and Tellier replacement parts at very economical prices. 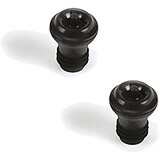 Genuine replacement parts, ranging from basic hardware to complete replacement kits.